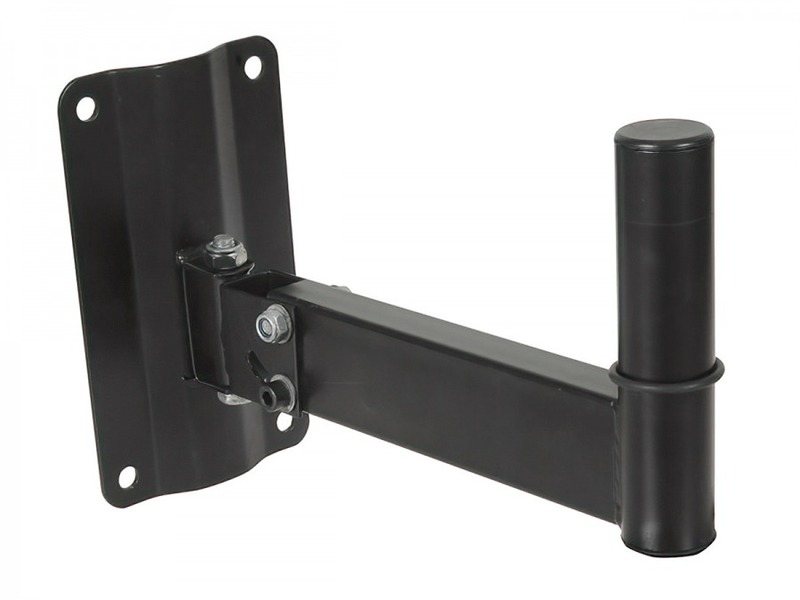 Super Heavy Duty PA Speaker Wall Mount Bracket - 30kg + FREE SHIPPING! Indoors or out, you want your public address speakers to look their best and do their best. With that in mind, mounting becomes an important aspect of the installation. Fortunately, with our Super Heavy Duty PA Speaker Wall Mount, you don't have to compromise on design. Finished in semi-gloss black, our bracket looks great even if visible to the public. It also has a hefty 30Kg weight rating for even the largest PA system speakers. But better than that, it also has a 45° downward tilt range in addition to the left/right swivel. This extra feature allows for perfect aim when firing your audio into public areas for best effect, clarity and acoustics. Great for halls, cubs, convention centres, waiting rooms and more! Suitable for all PA speakers and loudspeakers which use a 'top-hat' style mount 35mm diameter x 85mm long. Please note: As with all wall and ceiling brackets, a timber stud or beam is essential for proper, safe mounting. These speaker mounts are sold individually. Stylish mounting for your Public Address and loudspeakers Indoors or out, you want your public address speakers to look their best and do their best. With that in mind, mounting becomes an important aspect of the installation. Fortunately, with our Super Heavy Duty PA Speaker Wall Mount, you don't have to compromise on design.